A comparison between Jawa Forty Two and Royal Enfield Classic 350 based on specifications and the features they offer. Jawa Forty Two Vs Royal Enfield Classic 350. With the launch of Jawa and Jawa Forty-Two, competition in sub-400 cc classic motorcycle segment has increased in the Indian market. With the revival of the Jawa, there are now another options available for buyers who are looking for a bike that is powerful, looks retro and won’t burn a hole in the pocket. 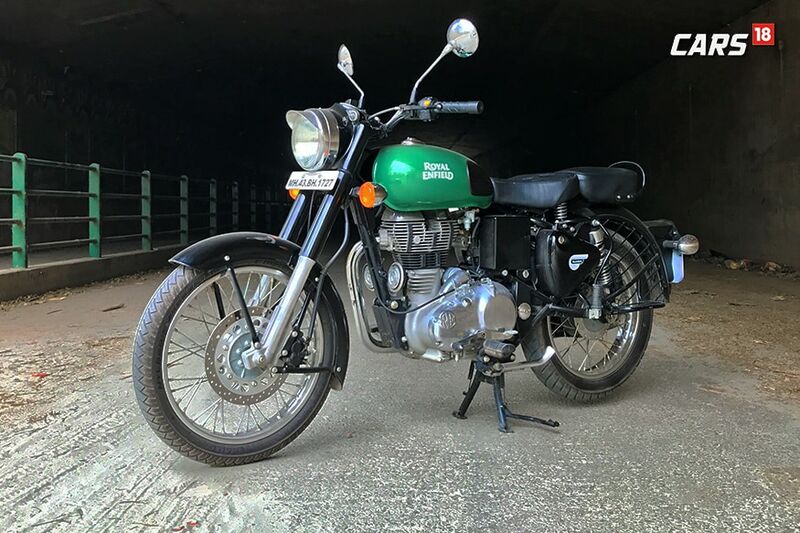 Royal Enfield Classic 350 too has been a well sought-after bike in this segment. The new Jawa Forty Two motorcycle gets a completely new frame and is different from that seen on the Mahindra Mojo. The bike gets a telescopic fork at the front and twin shock absorbers at the back with a gas-charged canister at the bottom. Braking is handled by a single disc brake at the front and a rear drum brake at the back. Therefore, the Jawa also gets a single-channel ABS unit in the front. 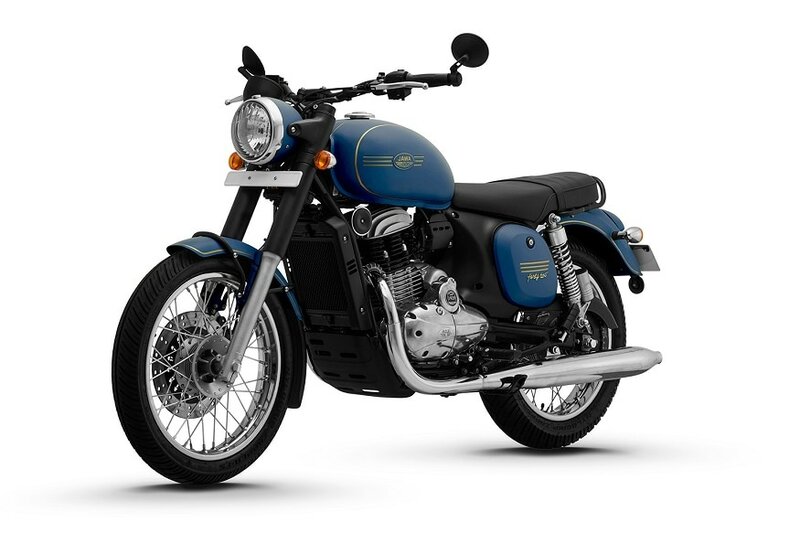 The Royal Enfield Classic 350 utilizes single downtube chassis, using engine as a stressed member and the bike gets telescopic suspension with 35mm forks at the front and twin gas charged shock absorbers at the back. The brake on offer is a 280mm disc brake at the front and there’s a 153mm drum brake at the back. The bike gets an analogue speedometer and lacks out the electronics. 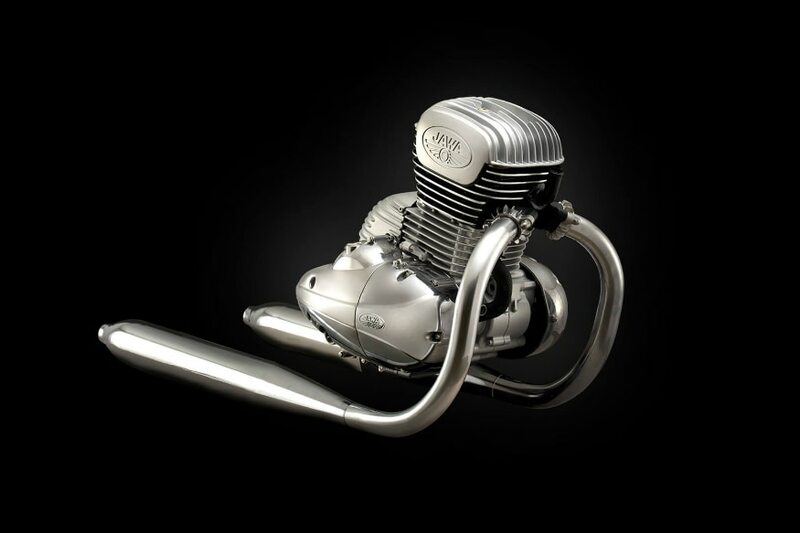 Mahindra unveiled a 293cc liquid cooled single cylinder engine that powers the Jawa and Jawa Forty Two motorcycles. The engine has been developed from the ground up through a collaboration between the group's R&D centre in Pune and technical centre in Varese, Italy. The new Jawa produces 27hp and 28Nm of peak torque and be mated to a 6-speed gearbox. The Perak, on the other hand, is powered by a 334cc, liquid cooled, single cylinder, DOHC engine which develops 30bhp and 31nm of torque. The Royal Enfield Classic 350 is powered by a 346 cc single-cylinder air-cooled engine that produces 19.80 bhp of maximum power at 5,250 rpm and 28 Nm of peak torque at 4000 rpm. The engine on the Royal Enfield Classic 350 is mated to a 5-speed gearbox. 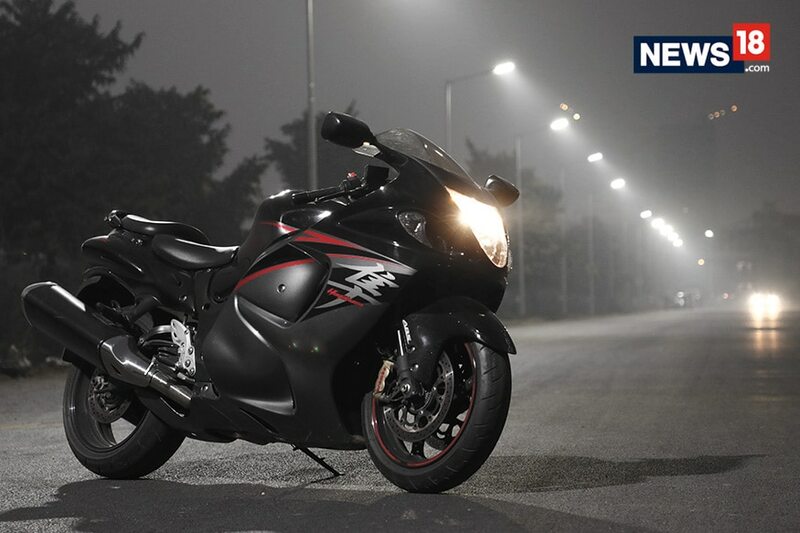 With heavy frame and engine, the bike can attain a top speed of 120 km/h. The new Jawa motorcycle gets a rounded headlight, a curvy tank, spoke wheels and a flat seat. 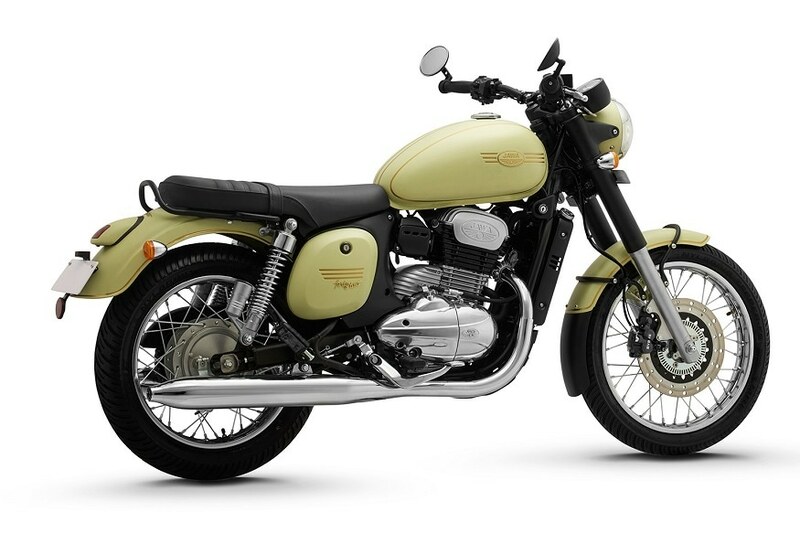 The engine, which was revealed by Mahindra last month, gets twin exhaust mufflers, like the older Jawa motorcycles. Apart from this, other old-school design elements like round indicators, round mirrors and telescopic fork, as seen on the Royal Enfield Classic 350, further add to the retro appeal of the bike. 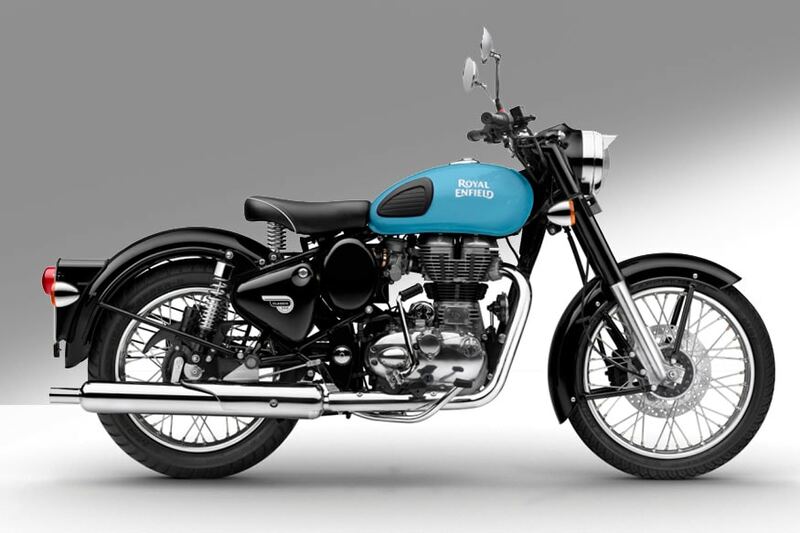 The latest Royal Enfield Classic 350 looks quite similar to its predecessor but gets a new paint scheme and body graphics. 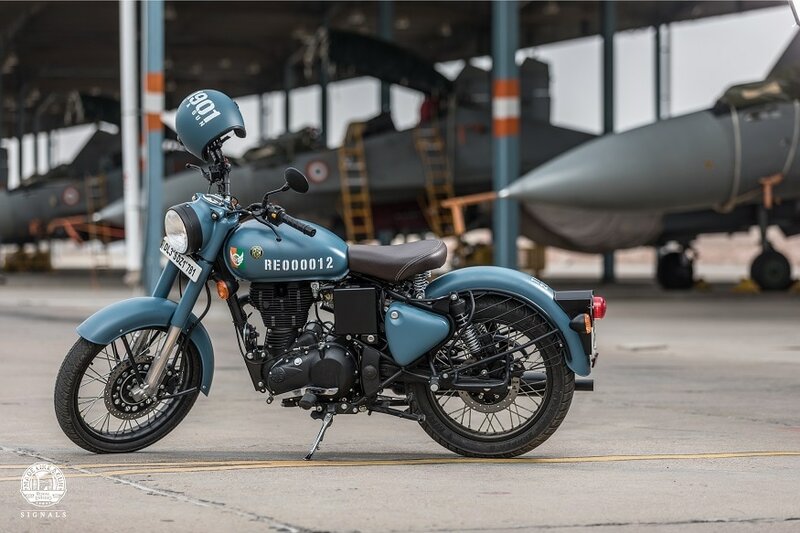 Introduced in 2008, the Royal Enfield Classic is designed on the lines of the J2 and it is a tribute to the retro look of British motorcycles in the post-World War II era. The Classic retains the quintessential classic British styling of the 1950s. The headlight casing, the fuel tank, the oval toolbox, the exhaust fins, the speedometer dials, the single-seat spring saddle, tail light assembly and the headlamp cap, all these conform to the native imagery of British motorcycles in the aftermath of World War II.